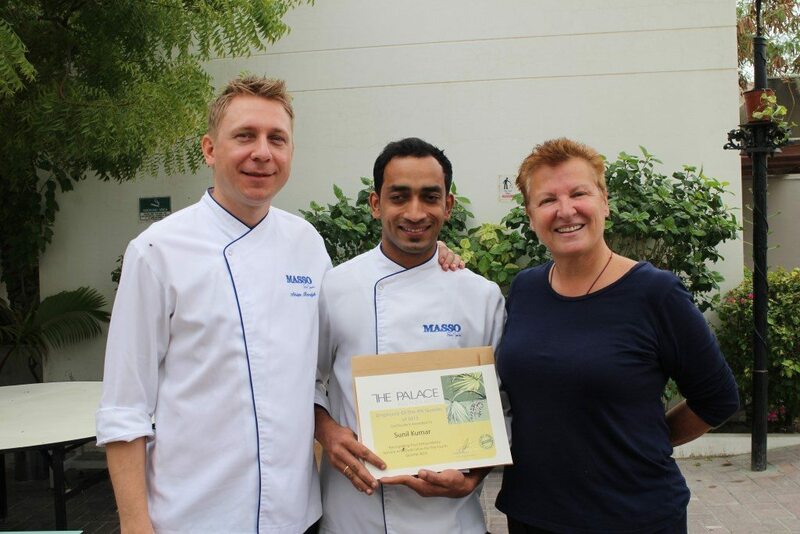 The management of the Hotel awarded Sunil Kumar as Employee of the Month, due to his achievements and efforts in work. The Palace Boutique Hotel considers its employees as vital to its success. The hotel management began this program in order to motivate employees and encourage them in fulfilling their essential duties. This created a healthy competitive environment between the employees and an environment to uplift employee spirit and morale. Head of departments attended the event, along with fellow colleagues to celebrate this award. The Operations Manager encouraged all the employees to work hard in order to be nominated for the next award.